CuriousFu Ltd (“Curious Fu” or “Us” or “We”) provides our website located at clarity.app (the “Site”) and our Clarity Mindfulness, Relaxation and Sleep App (“App”). To make these Terms easier to read, the Site and App are collectively called the “Services.” Please read these Terms of Service (the “Terms”) carefully because they govern your use of our Services. By using our Service, you are consenting to receive certain electronic communications from Us. These communications will include notices about Your account, information concerning or related to Our Services, reminders and/or requests for feedback or surveys. If You no longer want to receive certain non-transactional communications from Us, simply send us an email with your request to unsubscribe from such non-transactional communications. Users must not use the information on the Services as an alternative to medical advice from your doctor or other professional healthcare provider. If you have any doubt or specific questions about your medical health you should consult your doctor or other professional healthcare provider, and should you suspect you may be suffering from a medical condition you should seek immediate medical attention. Never delay speaking to a qualified healthcare provider, disregard medical advice you have been given, or discontinue medical treatment because of information found on this website. Do not use the Services while driving, operating heavy machinery, or performing other tasks that require attention and concentration. You understand and agree that you are solely responsible for your use of the Services. 3. We reserve the right, at our sole discretion, to modify or adjust current and future pricing models for the use of our service, at any time. 2. For in-app purchases made through Google Play Store, our website or Pay-Pal, we offer a 30-day no question asked refund policy. Please contact our team at hello@clarity.app for consultation. All the resources including the images, videos, audios and texts are protected by the trademark and copyright. Any use of the above sources without permission is illegal. All rights, title, and interest in and to Curious Fu are and will remain the exclusive property of Curious Fu and its licensors. The services are protected by copyright, trademark, and other laws of both England and Wales and foreign countries. Nothing in the Terms gives you a right to use the Curious Fu or Clarity name or any of the Curious Fu or Clarity trademarks, logos, domain names, images, videos, audios and texts and other distinctive brand features. We welcome feedback, comments and suggestions for improvements to the Services (“Feedback”).  You can submit Feedback by emailing us at hello@clarity.app. You grant to us a non-exclusive, worldwide, perpetual, irrevocable, fully-paid, royalty-free, sublicensable and transferable license under any and all intellectual property rights that you own or control to use, copy, modify, create derivative works based upon and otherwise exploit the Feedback for any purpose. In the event of a conflict between a translation of the Curious Fu Policies and the English version, the English version of the Curious Fu Policies will prevail. This Terms of Services shall be governed and interpreted in accordance with the laws of England and Wales and the London courts shall have exclusive jurisdiction to determine any dispute arising in connection with this Terms of Services, and you hereby irrevocably waive any objection to such jurisdiction and choice of law.